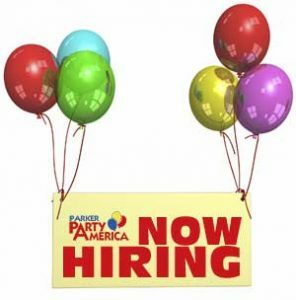 Party America in Parker is now hiring an experienced Sales Associate that can rapidly progress to a supervisory role. Your number one responsibility will be to provide superior customer service in a fun, unique working environment. Other duties include operating the cash register, inflating balloons, stocking product, assisting with merchandise display and store cleanliness. Our ideal candidate is highly organized, detail oriented and can enthusiastically provide customers with creative suggestions for their parties and all their Halloween needs. We are open normal retail hours and offer a flexible schedule. Please print an application by clicking the link below, fill it out, and bring it in to the Parker Party America store at 11177 S. Dransfeldt Road in Parker.